Have you been in a situation where the light suddenly went out? Have you been in a restaurant where there is not enough salt? 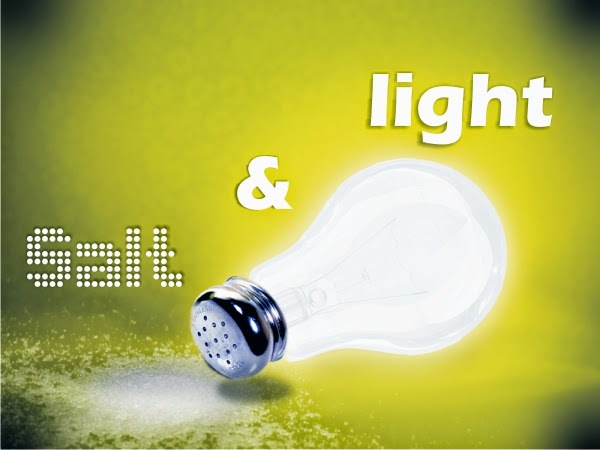 Jesus said some wonderful things about salt and light. Salt is one of the most abundant minerals. It’s one of the most stable compound- dependable, trustworthy. Salt was a mode of money ‘you are salt’- you are valuable, precious, amazing. Q. What can salt do? There are 14000 uses of salt. Preservative, medicinal, seasoning… we are useful. We prevent decay and protect. That’s how we should be. Medicinal- it has healing power. We are to be healers of people. Jesus wants us to be in and among the people- we make life interesting. It enhances life, doesn’t change life. We bring out the natural flavour of people. In Col 4:5- 6 it says “seasoned with salt”. What does that mean? It tastes good and satisfying. 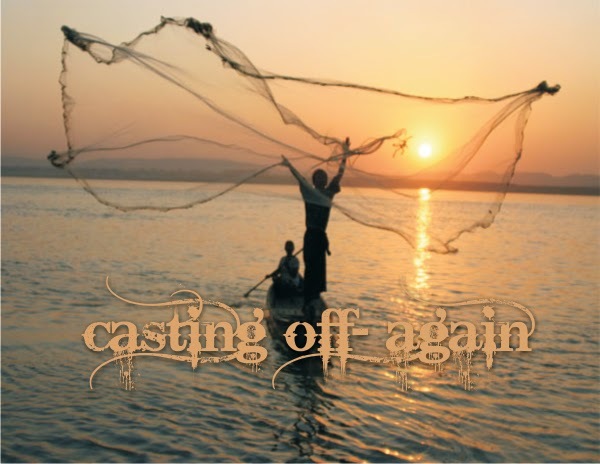 · It’s a cleansing agent- just like Jesus changes us. · Change agent- we are the accelerant for people to know Jesus. · Pest control- weeds, ants, etc. 2 Kings 2:19- 21 Elisha uses salt to clean the springs. Reveals dirt; health- vitamin D, lasers, gives hope- lighthouse, speaks truth. The harsh reality is that we are in a bad condition- India has 1 billion unsaved. So how can we be salt and light in this country? Have you ever faced a desperate situation? If Jesus had not intervened your life would have been miserable. My father was critically ill last year. We went through rough times. We struggled financially. People from the church stood with s God calmed the storm and rescued my dad from death. Even the disciples went through struggle and danger. In Mark 4:1- Jesus had taught them many parables. In the evening they went to the other side of the lake. As they were sailing he fell off to sleep. He must have been very tired. Without warning, a furious storm came and nearly sunk the boat. The disciples panicked- they were anxious and they were calling out to Jesus. He awoke and calmed the storm. 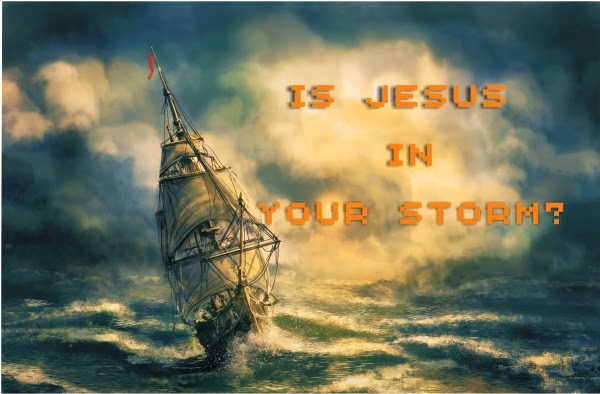 The disciples asked him, “Don’t you care?” Jesus calmed the storm with one word and the storms subsided. Jesus asked the disciples why they had no faith. The disciples could not figure him out that the wind and waves obey him. Mark 1:25- the demon possessed man was delivered; 1:30-34: Simon’s mother in law was healed; 1:40- man with leprosy was healed; 2:5- the paralytic; 3:5- shriveled hand healed. The disciples saw the impossible happen. Q. What can we learn about the Lord Jesus? Q. What do we learn from the disciples? They were fearful, had negative thought. They doubted Jesus inspite of seeing the miracles. 1 Peter 5:7 reminds us to “cast all your anxiety on him because he cares for you.”Philippians 4:6 says do not be anxious about anything. So if you are anxious, you run, cast your cares on the Lord and he will sustain you. God is concerned for his disciples- his people. He rescues them from the storm. God rescued Daniel and his 3 friends. God shuts the lion’s mouth. What about David and Goliath? God protects and rescues us. He knows our weakness. Q. So what does God want from us? He wants us to be still, to trust in Him and not doubt Him. He assures us in Hebrews 13: 5:6- “never will I leave you, never will I forsake you”. What will man do to you? Remember the miracles he has done in the past in your lives and in that of your friends. Q. How do we apply this? · You may be facing challenges with finances, job, barrenness, life-partner, etc. do not fear. Be faithful, trust in him and God will come through for you.